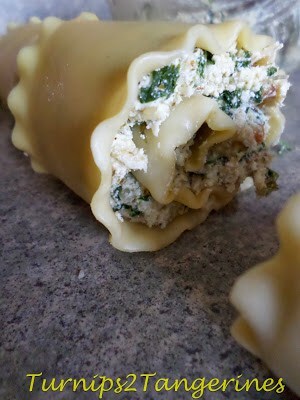 Make it Italian Dinner Night at your house tonight with these super easy, good for you, Lasagna Spinach Roll Ups. 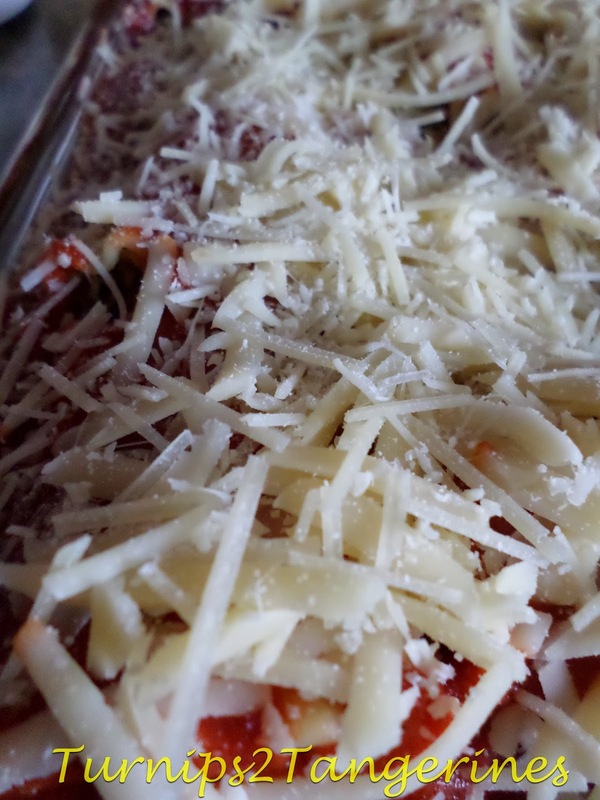 Serve delicious lasagna rolls with a simple side salad and garlic bread, for a complete and satisfying meal. Add a cup of gelato for an extra special end to this already exceptional Italian style dinner. 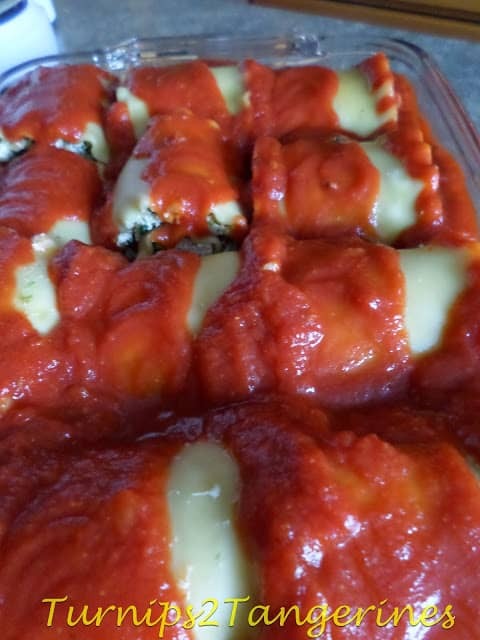 Lasagna roll ups can be made with ground beef, turkey, pork, or ground game meat. You can even substitute ground bulk Italian sausage, for the more traditional Italian flavor. I like to use frozen chopped spinach, thawed but frozen chopped broccoli, thawed works great too. To make this recipe fast, easy and affordable, jarred spaghetti sauce and jarred pesto are used but feel free to use your homemade sauce and pesto if you have that on hand instead. Heat oven to 375º Spray 13 x 9 (3 quart) glass baking dish with non-stick cooking spray, set aside. 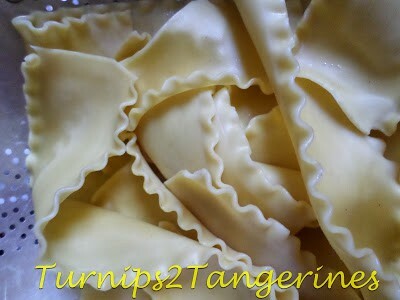 Cook lasagna noodles as directed on package, drain and rinse with cold water, set aside. Heat oil in large skillet until hot, saute onion and garlic for 5 minutes. Add ground beef, turkey, or pork; cook until beef, turkey or pork is browned, drain or stir in cooked, cubed chicken or turkey, if using instead. Season with 2 teaspoons garlic and herb seasoning. 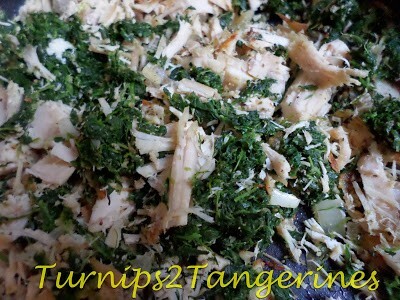 Add chopped spinach, mix well. Remove for heat, set aside to cool. 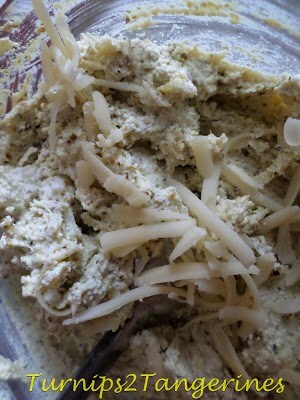 In a large bowl mix together pesto, sour cream, ricotta cheese, Parmesan cheese and 1/2 cup mozzarella cheese. 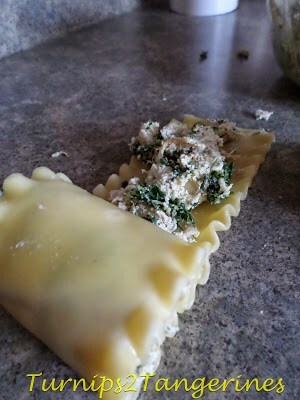 Fold in meat/spinach mixture. Pour 1/2 cup tomato pasta sauce in prepared dish. Spoon 1/4 cup to 1/3 cup filling down the center of each lasagna noodle. 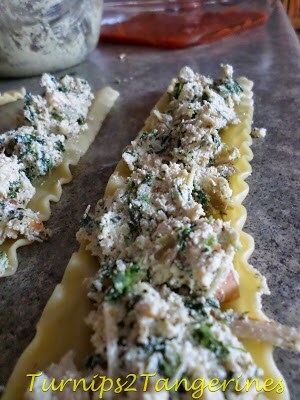 Gently roll up, place in prepared pan until all noodles and meat mixture is used. Pour remaining pasta sauce over lasagna roll ups. Sprinkle with rest of the mozzarella cheese and Parmesan cheese. Cover with foil and bake for 1 hour or until heated through and bubbly. *If you prefer, you can make this meatless. Omit the ground beef, turkey or pork. Mix together pesto, ricotta cheese, sour cream and cheese. 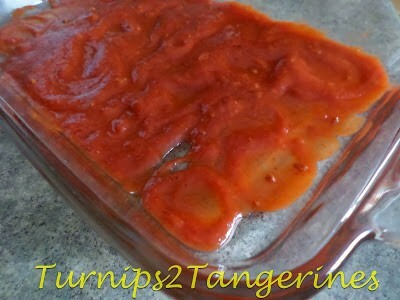 Pour 1/2 cup tomato sauce in the bottom of baking dish. 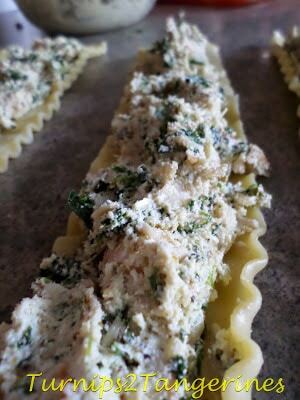 Stir spinach/meat mixture into ricotta cheese mixture. Boil noodles according to package directions, drain well. Lay noodles flat on surface. 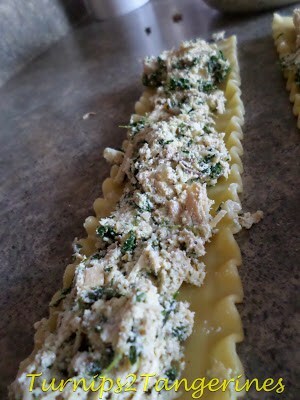 Spoon a 1/3 cup cheese/spinach mixture onto noodle. With back of spoon spread filling. Repeat with filling and noodles. Keep rolling up, until all noodles are rolled. 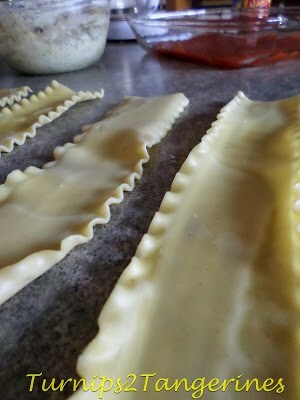 Spoon remaining sauce over filled noodles. Cover with foil and bake until hot and bubbly. Spray foil first with non-stick cooking spray to prevent sticking. Health Note: Lean cuts of beef (round steak, beef loin, and sirloin) are lower in fat and saturated fat than fattier cuts such as rib eye. Less fat and saturated fat is better for heart health. 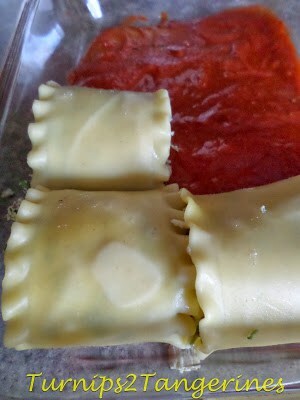 Your Lasagna Roll Ups look like they are just packed with flavored! Thanks so much for sharing with Full Plate Thursday and enjoy your weekend! Wow, you are having quite a weather hit… again. We're enjoying an unseasonably warm, dry, sunny winter day today (don't hate us), but these roll-ups sound so tempting I'm baking some tonight anyway. Thanks for the inspiration. Yum-love roll ups. And yes, it's freakin' cold out there. 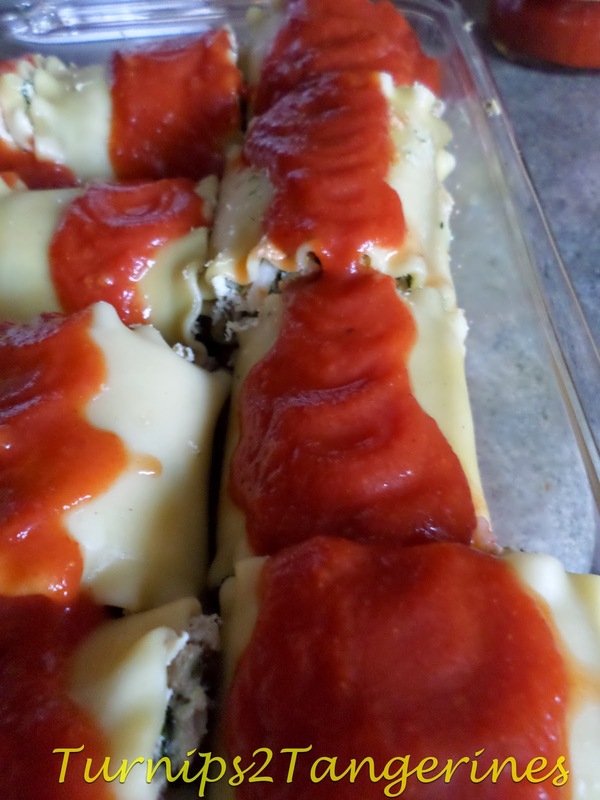 I LOVE Lasagna Roll-ups ! and yours sound too yummy. At least my van got boosted so I could get going this morning. Dang it was cold out there.